In the latest exploration of the natural world to take advantage of the IMAX 3D format, director Howard Hall explores the impact of global warming in some of the most isolated and exotic places on the globe. Diving deep below the waves, we are transported into breathtaking underwater landscapes in the Indo-Pacific region, home to some of the most mysterious yet beautiful creatures on Earth including a dazzling array of fish, crustaceans, seals, squid and colourful coral, with narration from Jim Carrey. 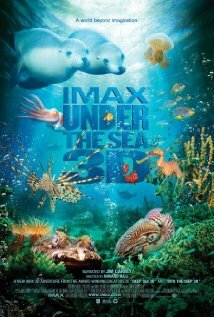 Under The Sea 3D: An Imax 3D Experience is not currently showing anywhere.